First of all I have to explain this whole confusion about the name of these muffins. They are made out of fromage, but while making them I figured that it is a kind of soufflé – but still also a sort of muffin! So the decision is yours really. I found this recipe online- however it was not finished from my point of view so I needed to work on it a little bit before sharing it. I made these muffins a few times during the last two weeks. This is a yummy desert believe me. It can be also considered as breakfast for special occasions, since it takes only 25 minutes in the oven to make it. So I guess Sunday breakfast? We absolutely love it, however when I was in a testing phase for this recipe, I was making them almost every day, and in the end even my boyfriend- who eats everything and never complains about it- finally refused to taste them! I have to tell you, that these muffins don’t have a fancy look when you take them out of the oven (I think they look cute on the pictures though! ), but don’t be disappointed. The taste will make it all up! Prepare two glass bowls: in the first one place the blueberries and raspberries and mix them with potato flour and with sugar. Leave them aside. In the second bowl mix together- you can use the kitchen robot or a hand mixer- fromage, cream, eggs, vanilla sugar, and eggs. Mix all ingredients until really well combined. 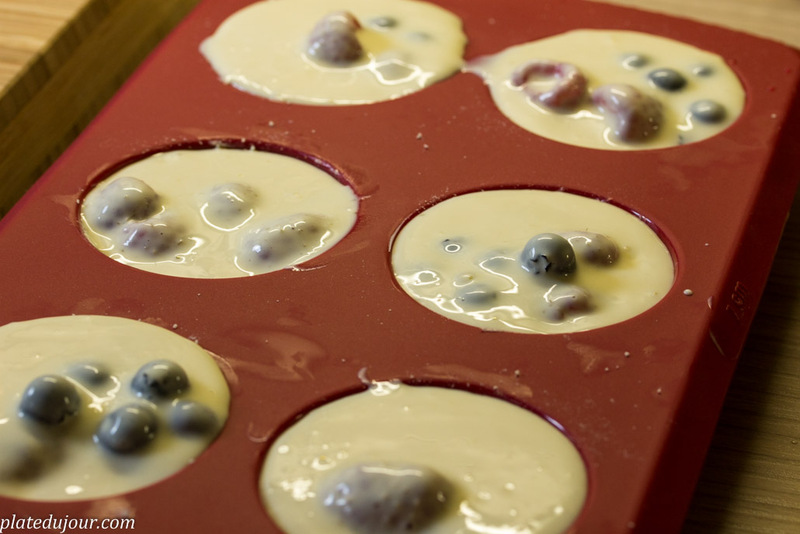 Once the muffin pastry is ready, combine it with blueberries and raspberries- do it gently with the spoon. Pour the pastry into the silicon form, like on the picture below. Place in the oven for about 25-30 min. 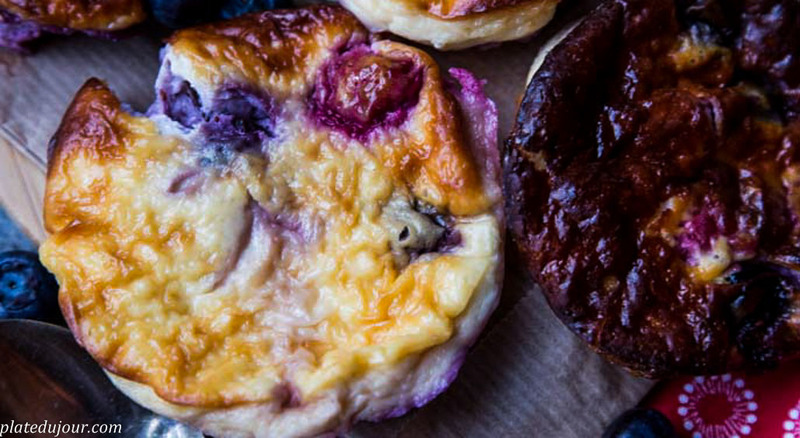 Important- when you turn off the oven, leave the muffins inside for another 5-10 min or so. What makes them flat is the difference of the temperature between the oven and the kitchen, so let them to get used to it and pray so they would stay puffy when you take them out! Hey Marta 🙂 This is simply amazing. I can almost chew the screen. Yummmmm…..